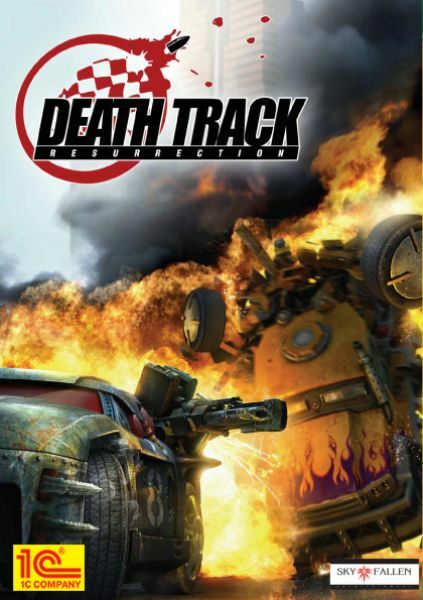 Death Track: Resurrection (Russian: Death Track: Возрождение) is a computer racing game developed by SkyFallen Entertainment and published by 1C Company.It is the sequel to the 1989 game Deathtrack. Outside of the CIS, the game was published by 505 Games in the European Union and Aspyr Media in North America, which was released DRM free. An Xbox 360 version of the game is expected to be released in 2010. Death Track: Resurrection is set in the future after World War III. The game involves racing and trying to finish first across several tracks located around the world, including Bangkok, Vatican City, London, Moscow, New York, Paris, Prague, San Diego, Istanbul and Tokyo. Players try to earn points by doing various stunts, which can be used for upgrades to cars and weapons. Cars can be equipped with an assortment of weapons, which can be fired at opponents to slow them down and knock them out.